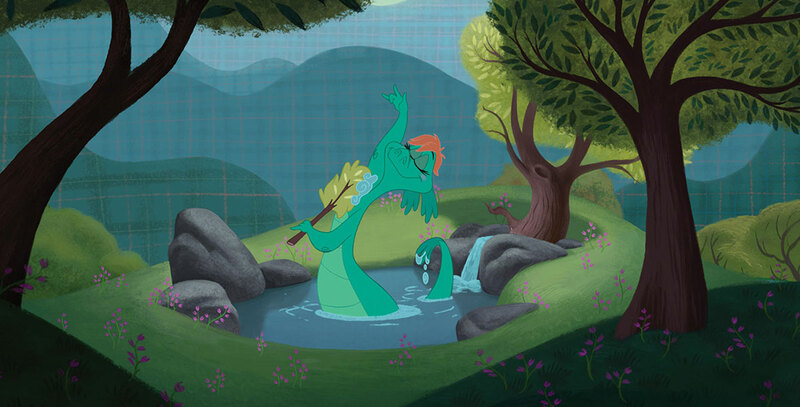 Ballad of Nessie, The (film) Short cartoon released with Winnie the Pooh on July 15, 2011. Nessie is really a very gentle sea monster, who is devastated when her home pond is taken over by a golf course developer named MacFroogle. With her only friend, a rubber duck named MacQuack, she goes on a quest to find a new home, but without luck she starts crying, and her tears create Loch Ness, which becomes her new home. Directed by Stevie Wermers-Skelton and Kevin Deters. Narrated by Billy Connolly. 6 min.